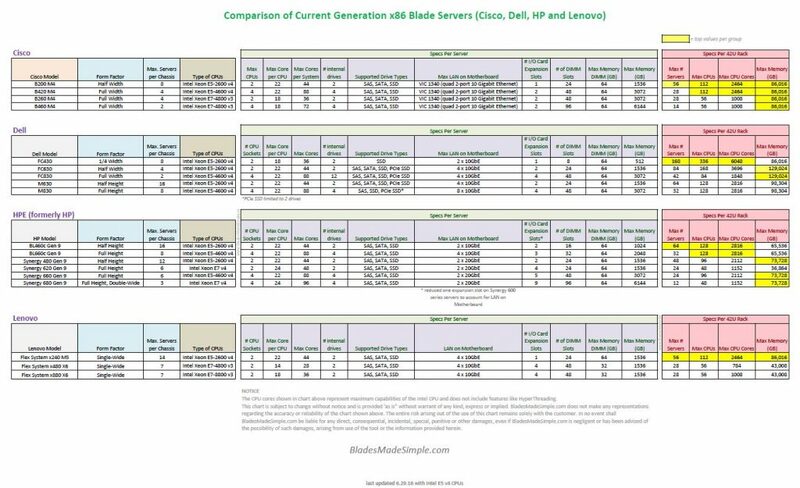 With the recent release of the Intel Xeon E5 v4 CPUs, I realized it’s been a year since I’ve updated my blade server comparison chart. Below is an updated chart to help guide you to the best blade server for your project. If you see any discrepancies in the information within this table, please let me know either in the comments or via email. Thanks for your support!